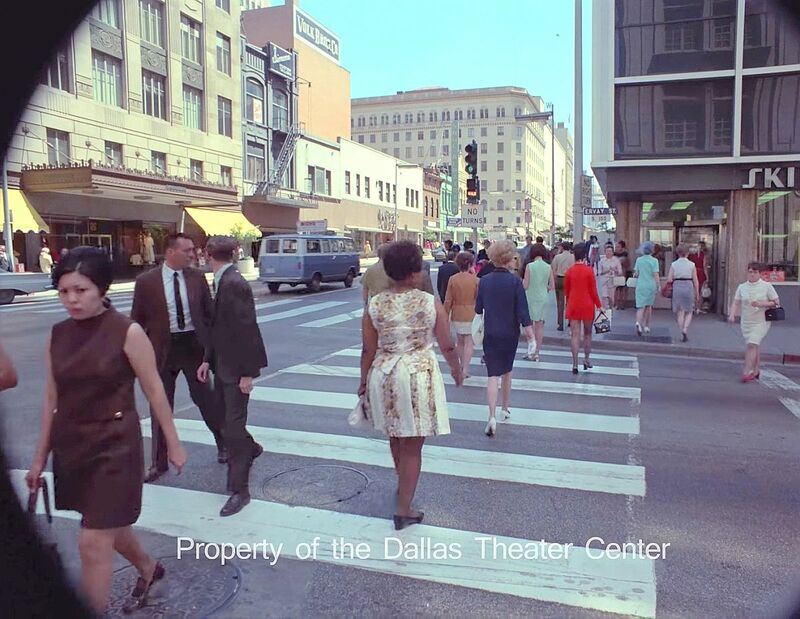 The other day SMU released fantastic 35mm color film footage captured from a camera mounted atop a car cruising downtown streets in 1970. Today they released a little more, this time a short clip showing pedestrians walking across the intersection of Main and Ervay (be sure to watch this silent footage in full-screen mode). 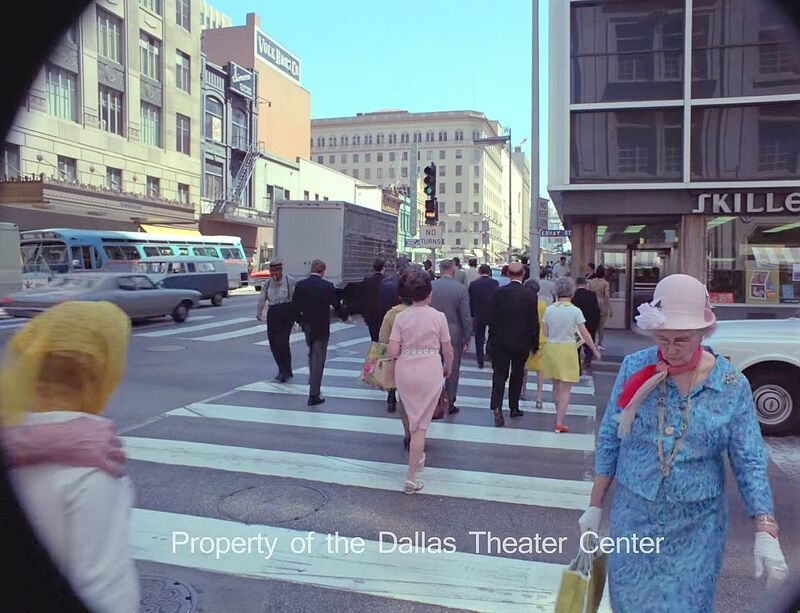 The Skillern’s drug store in this footage was at 1700 Main, on the southeast corner of Main and Ervay, in the Mercantile Bank Building complex; the building across Main on the northeast corner was Dreyfuss & Son Men’s Clothing, and the large building in the distance (at St. Paul) is the Titche’s department store. 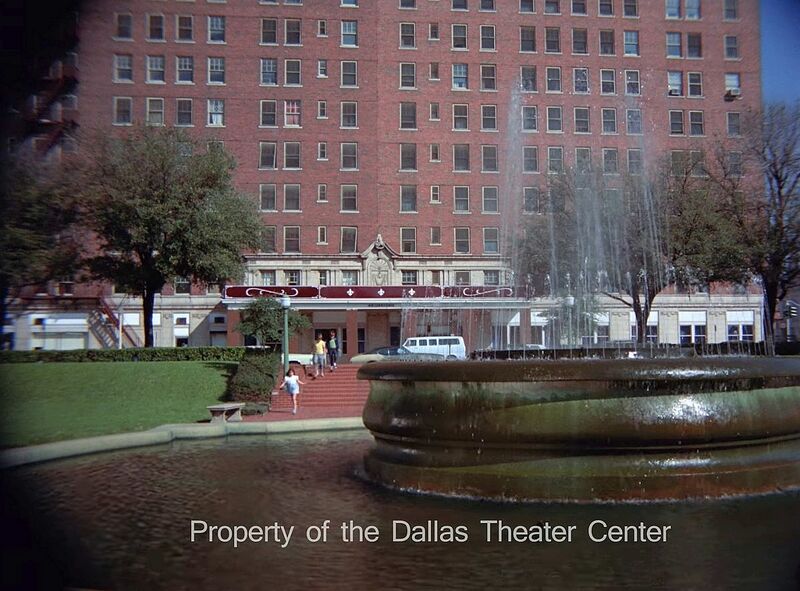 The end of the clip has shots of the (surprisingly red) (and no longer standing) Jefferson Hotel; sharing the frame is the fountain in Ferris Plaza (Union Station would be to the left of the camera operator, across Houston Street). 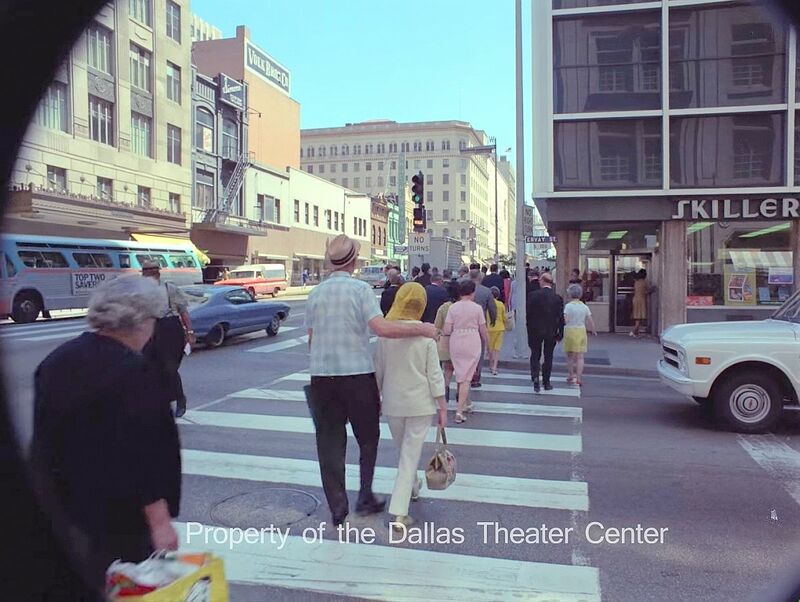 This footage was shot for Dallas Theater Center productions, which I hope to write about soon. Cool footage, SMU. Keep it coming! Here are a few screenshots. 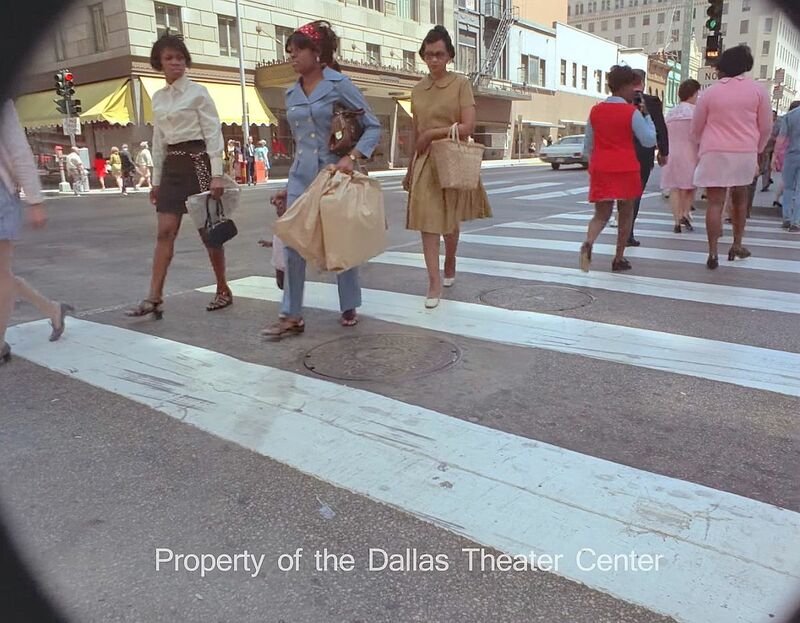 There were a lot of vivid colors being worn by downtown workers and shoppers in 1970. 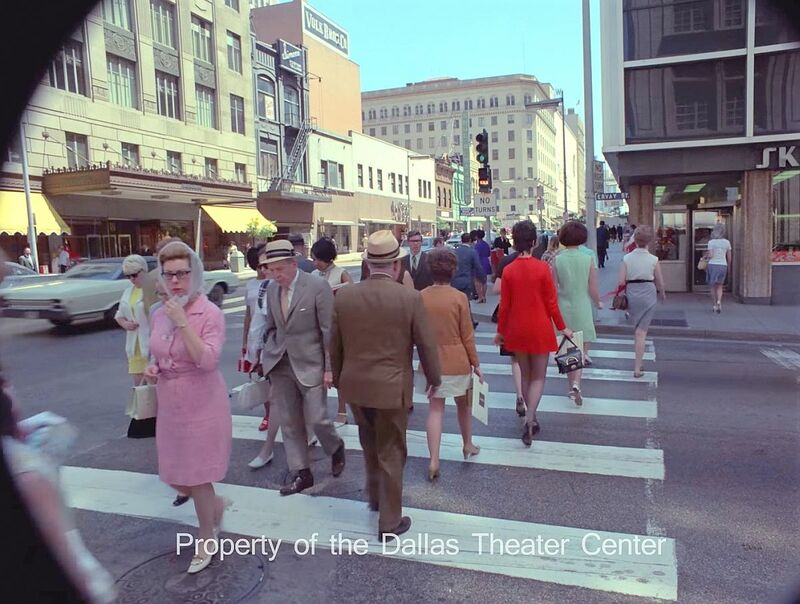 I’m so accustomed to seeing black-and-white images of Dallas, that all this color is a little startling! 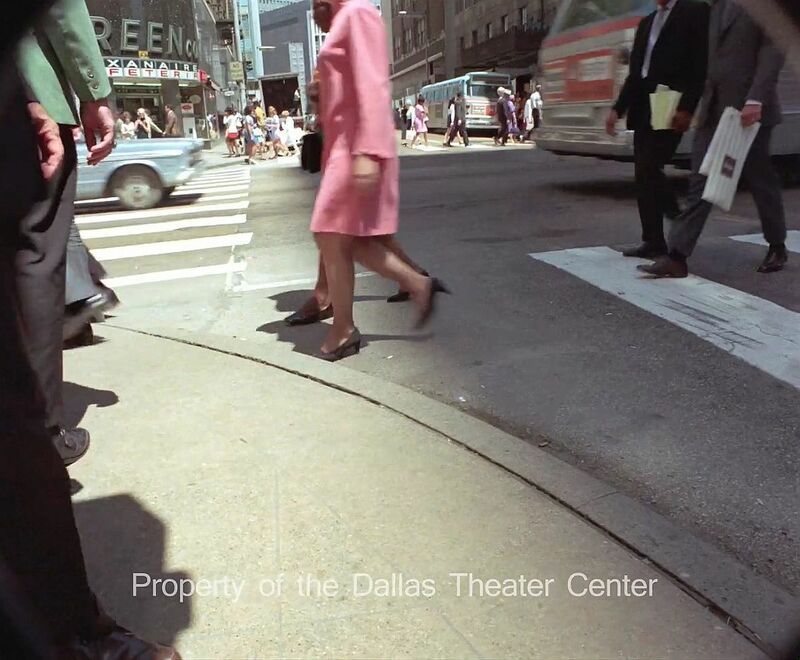 These screenshots are from 35mm color film footage owned by the Dallas Theater Center, held at Southern Methodist University (the direct link to the YouTube video is here). Again, thanks to SMU curator Jeremy Spracklen. In case anyone wondered if people used to dress up more ‘back when’ than they do now.